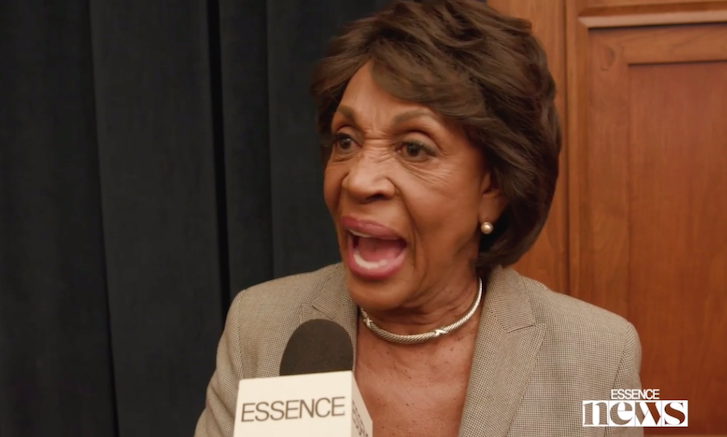 Auntie Maxine seems to be coming apart as of late, probably because all her dreams of impeaching Trump over collusion have fizzled out. When it comes to members of Congress, she is the poster child for the unhinged left the deeper we get into Trump’s presidency. Waters thinks because of the alleged 6000 lies told Trump can be impeached! To date he has done nothing illegal yet Waters and her ilk continue to carry on calling for the Presidents impeachment. You see it’s all about their feelings now, since they feel he is bad that’s enough to take him out of office. The left thinks their feelings supersede facts granting them the right to impeach POTUS to attacking people who ideologically disagree with them. This is how unhinged and dangerous they have become. The only people who are divisive and will be shutting SOTU off are radical democrats and leftists, who cannot accept Trump is president who will expose all of their lies. Yes, there have been some down days but for the most part Trump’s admin has accomplished far more than the “experts” predicted. Waters and her ilk have no intentions of engaging in any form of unity. Dems hate the Constitution and the US as they constantly do everything in their power to change it. They obviously hate Trump which means they hate each and every one of you who put him in office.